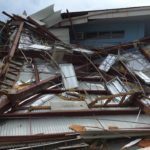 Although it's been a year since St. John in the US Virgin Islands was devastated by hurricane Irma, the strongest Atlantic hurricane in recorded history, closely followed by another category five hurricane Maria, Unity of St. John continues to be deeply involved in the recovery effort that has been underway since September, 2017. 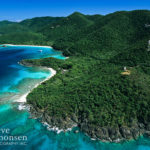 The dynamics of a remote island community adapting to sudden, catastrophic change are ongoing and unprecedented, especially when residents live in the disaster area as they recover without resources, including four months without electricity, communication or food, the need now shifting to economic trauma, sociological and psychological concerns. Unity principles have been invaluable with our positive and practical message and we appreciate your spiritual and financial support in making this possible and for holding us in a prayer consciousness of healing and wholeness as the challenge continues for our weary people. Over the past year, Unity of St. John has provided free services to the island population, helping hundreds with Unity teachings, trauma and spiritual counseling in the field (in houses without roofs! ), extensive relief supplies and classes including the “Peace in the Midst of All Things” class, taught outside under a gre gre tree, emphasizing hurricane and sudden change recovery from a spiritual perspective. Many islanders are still struggling with insurance and FEMA snarls, substandard living conditions, living in tents and under blue tarps, dealing with PTSD, repairs, unemployment, homelessness, and hopelessness. Our hotels and resorts are still closed, schools are unrepaired and our infrastructure is overwhelmed. BBC, a company of lineman who have been replacing every power pole on the island, are still here. It has been an experience of persistence, tenacity, and faith that continues to this day. 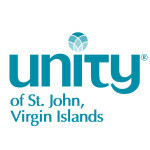 Unity of St. John Virgin Islands, a positive path for spiritual living. Vision - A world powerfully transformed through the growing movement of shared spiritual awakening. Mission - Advancing the movement of spiritual awakening and transformation through Unity, a positive path for spiritual living. Spirit-Led – We are centered in spirit which leads our thoughts and actions as we co-create a world that works for all.